Pradip and Neha Hirani allegedly defaulted on a Rs 25-cr loan; reserve price for the 12K sq ft apartment set at Rs 33.23 crore. One of the city’s earliest and most flamboyant fashion entrepreneurs is faced with a grim reality – of having a grand property of his put up for auction. 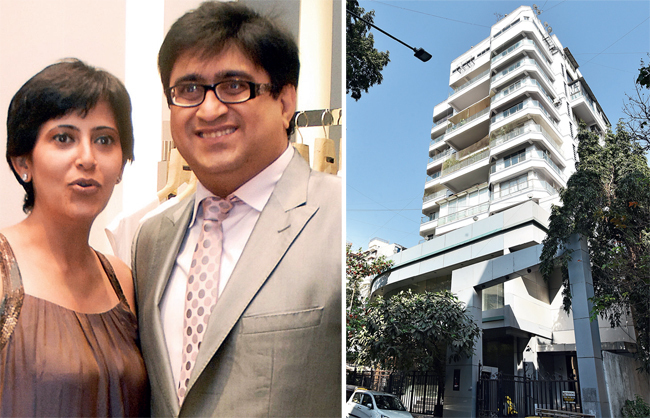 IDBI Bank on Thursday put a five-storeyed, 12,000 sq ft apartment on Turner Road that belongs to Pradip Hirani and his wife Neha, owners of the Kimaya chain of boutiques, on the block, as the couple has defaulted on a Rs 25-crore loan. According to a public notice issued by the bank in the Times of India, the Hiranis’ apartment in New Turner Heights, in Bandra, has, among others, a private swimming pool, a seaview terrace and inbuilt spaces that can be used as a personal gym, library, and private theatre. The reserve price set for the apartment is Rs 33.23 crore, and the auction is scheduled to be held on February 22. The bank’s move to conduct a physical auction follows an unsuccessful attempt at an e-auction of the property on February 1. The tender documents for the e-auction stated that the Hiranis owe IDBI Bank Rs 25.06 crore in principal and Rs. 5.66 crore in interest. Hirani’s rise and fall as a fashion leader was supernova-esque. The couple switched from exporting garments into high end fashion in the early 2000s. 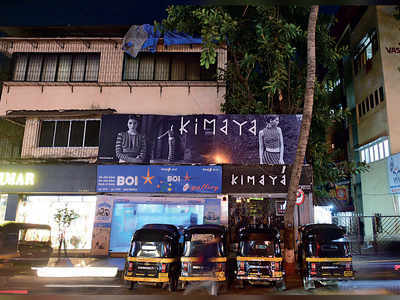 Kimaya, which first opened in Juhu in 2002, was the city’s second multi-designer boutique after Tina Tahiliani’s 30-yearold Ensemble. The boutique featured a first-of its kind video conferencing facility for the rich spender brides to have a little facetime with Delhi-based designer bigwigs such as Tarun Tahiliani, Rohit Bal, and JJ Valaya. A few years later, the Hiranis opened their second store in Dubai’s plush Jumeirah Beach area, and became the first Indian fashion company to enter the emirate. By 2009, Hirani had 13 stores all over India, and there was talk of a Kimaya on Madison Avenue. In an interview published in 2009, Hirani had said he was in talks to open six more stores that year, in Goa, Hyderabad, Ludhiana and Chandigarh. Kimaya’s expansion, he said, would be funded through internal accruals, and his target was to set up about 50 stores by 2012. Hirani was known as the industry’s biggest buyer at fashion weeks, and would buy designers’ collections outright while others did consignments. He was famous for the grand, champagne-filled get-togethers he would have at his suite at the five-star venues of the fashion weeks. At one point, Hirani owned about 27 stores in India and abroad; now he owns just three, all in Mumbai. On April 16 last year, Mirror had reported on the sealing of the property as ordered by the Chief Metropolitan Magistrate’s court at the request of the bank. The apartment was ordered to be sealed after the bank approached the court claiming that the couple had defaulted on the loan that was disbursed in 2015. Rumours of their businesses failing have been doing the rounds for the past five years, and several designers and staff have complained of nonpayment of dues. The bank first issued the Hiranis a notice on August 23, 2017 asking them to pay up the entire outstanding amount within sixty days. The couple’s failure to make the payment forced IDBI to approach the court under the Securitisation and Reconstruction of Financial Assets and Enforcement of Security Interest Act, 2002.